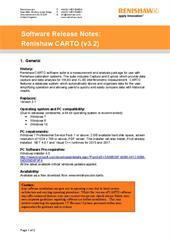 Important information concerning installation and use of CARTO version 3.2. It is recommended to read this before downloading or installing software. Supersedes CARTO version 3.1.